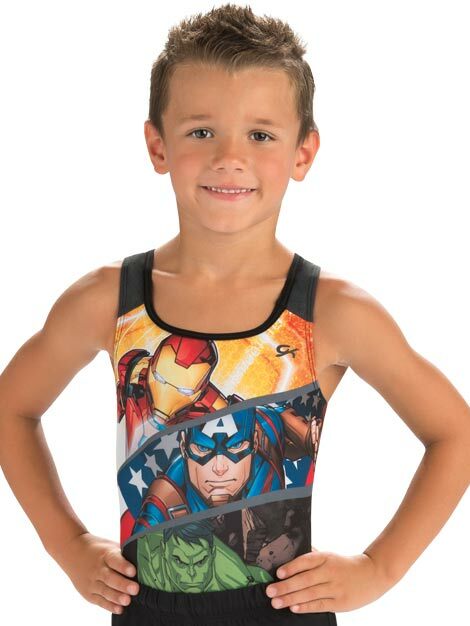 Home | Discount Leotards ™ > Gymnastics Boy's Men's > MV017 Marvel © Avengers Boy's Men's Gymnastics Competition Shirt Tunic. MV017 Marvel © Avengers Boy's Men's Gymnastics Competition Shirt Tunic. By GK Elite Sportswear from Discount Leotards.